Race&C. offers yacht charters along the Adriatic coasts. Our sailing boats, moored at Venice and Caorle (50 Km from the airport, we arrange pick-up service) offer you a full-immersion experience of sail, sea and sun in search of unspoilt nature. You can discover the hidden beauty of the Venice Lagoon where you can stumble across basilicas and monasteries at any moment, or the lesser known itineraries of Silent Venice where the true protagonists are nature and the tranquillity only these landscapes can give. If you prefer, you can even reach the coast of Croatia with its sun-drenched beaches and hidden bays. - Charter with skipper: put yourself in the hands of a professional skipper who can interpret your holiday plans according to the participants' wishes. He will take charge of the boat and its operation, leaving you with nothing to do but enjoy your holiday to the full. If you want, he can be your personal trainer to improve your sailing skills. 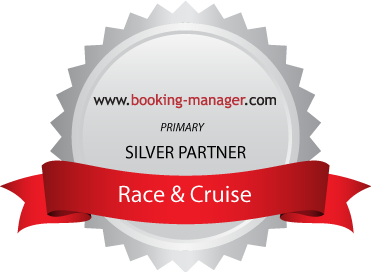 Are you planning your sailing cruise and do you need some help?